2014 is almost over and I just wanted to thank each and every person who came out to a show this year, let me sleep on her/his sofa/floor and who downloaded or bought a record! All this means a lot to me! On 26th December I’ll be playing the last shows this year in Wolfsburg and that’s it. Next year, I have two tours planned already and I’ll be recording a new album as well. 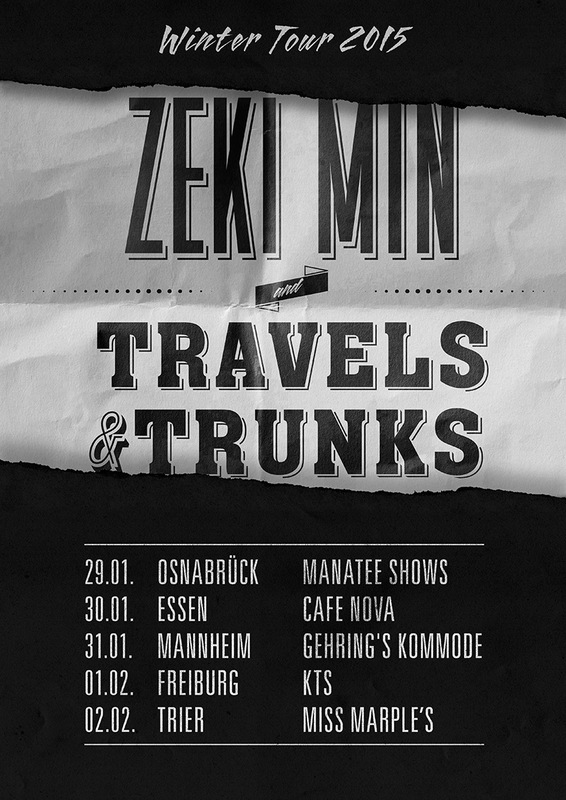 Here is the poster for the first tour with my buddy Julius/Travels & Trunks. I hope you are having a great last week this year! Next Post Happy New Yeah!